KANSAS CITY, Mo. 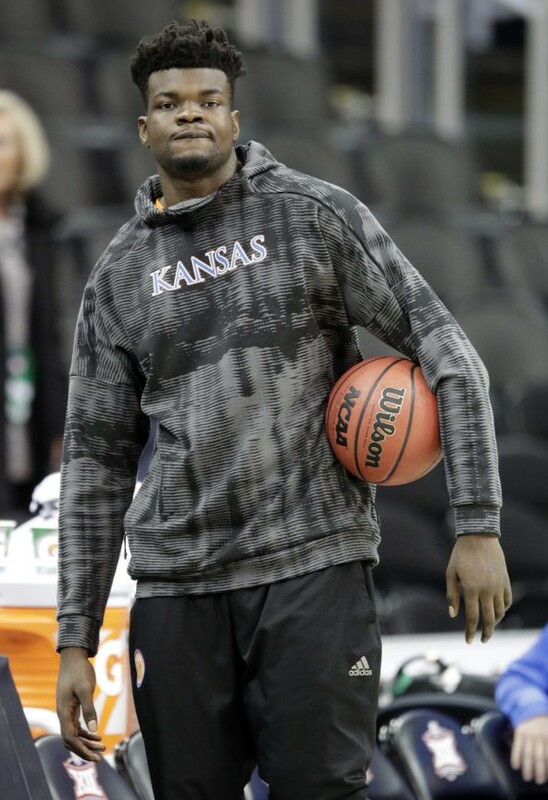 (AP) — Kansas forward Udoka Azubuike sprained his left knee during a scrimmage this week, ruling him out of the Big 12 Tournament and putting his availability for the NCAA Tournament in question. Jayhawks coach Bill Self said Wednesday that Azubuike hurt the medial collateral ligament in his knee the previous day. The medical staff called it a “Grade 1” sprain and Azubuike will be evaluated again on Sunday, though Self hopes to have him back on the court next week. The ninth-ranked and top-seeded Jayhawks open the Big 12 Tournament on Thursday. Azubuike is averaging 13.7 points and 7.1 rebounds this season. The 7-footer has given the Jayhawks their only significant inside presence.